Praised for his “Virtuosic command” and “full bodied tone,” cellist Jonathan Ruck is recognized as a performer and pedagogue of the highest caliber. Recently appointed as Associate Professor of Cello on the faculty of the University of Oklahoma School of Music, he is frequently heard in recital, chamber music, and orchestral performances throughout North America. From 2002-04, Jonathan served as the teaching assistant to Distinguished Professor Janos Starker at the Indiana University Jacobs School of Music. He has also studied with Tsuyoshi Tsutsumi, Scott Tisdel, and Suzanne Hayworth. Prior to his appointment at OU, Jonathan held positions at DePauw University and Hampden-Sydney College, and served as guest-teacher at the University of Illinois. An avid chamber musician, Jonathan Ruck was twice awarded the coveted Kuttner Quartet Fellowship at Indiana University. He has studied and collaborated with eminent performers such as Andre Watts, Rostislav Dubinsky, Luba Edlina-Dubinsky, James Campbell, Miriam Fried, Mauricio Fuks, Mimi Zweig, and members of the Cleveland, Emerson, Tokyo, Juilliard, and Fine Arts Quartets. As a member of the Dubinsky Quartet, he was a prizewinner in the Fischoff and Coleman national competitions. Recent performances include appearances on the Schneider Concerts series in New York, the Mostly Music series in Chicago, chamber music series in Vancouver, North Carolina, Virginia, Wisconsin and Indiana, and at the Norfolk and Sarasota festivals. 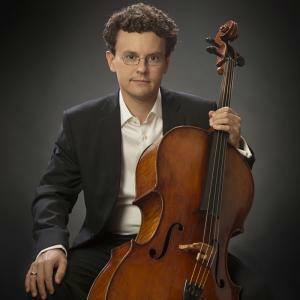 Jonathan performs locally with the University of Oklahoma Chamber Players, Oklahoma City’s Brightmusic Chamber Ensemble, and serves as principal cellist of the Oklahoma City Philharmonic.